Real-Time Transport Protocol or RTP is a packet -based protocol protocol for continuous transmission of audiovisual data over IP -based networks. Previously we wrote about Video Conference and the Technology Behind Videoconferencing and mentioned about Real-time Transport Protocol or RTP. 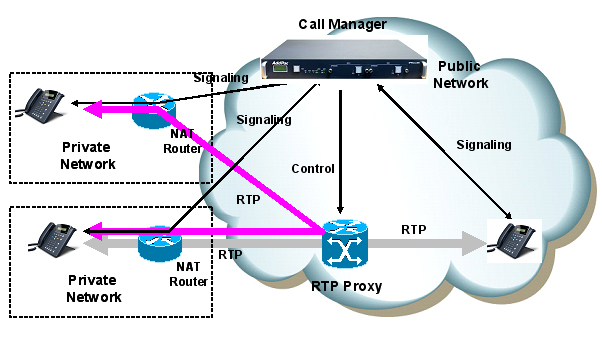 This article is a brief up of the theoretical aspects of Real-time Transport Protocol or RTP. Real-time Transport Protocol is operated over UDP. Real-time Transport Protocol or RTP can be used for unicast connections as well as multicast communications in the Internet. This Real Time Control Protocol serves the negotiation of and is compliant with quality-of-service parameters (QoS). It is used in many fields, including in the H.323 IP telephony standard, it is used to transmit the audio and video streams of conversation. The function of RTP is mainly in the transmission of real-time-sensitive data streams, while the Real-Time Streaming Protocol (RTSP) is used to manage and control the data transfer. The Datagram Congestion Control Protocol (DCCP) is a recent approach to allow for media streams to RTP / UDP-based congestion control. Synchronization Source : The data source is called Synchronization source and is characterized by an identifier (32 bits) in the header. Mixer : Mixer as switching centers are referred to points, which receive the RTP packets from one or more sources and forward. them. The term mixer is explained by the fact that the mix switches the packets (and time sync) or format conversions. Translator : Such exchanges, which forward the packets without modification, for example, to transport them through the firewall are called Translator. Receiver : The receiver of the RTP packets sorted on the basis of the sequence numbers and provides it to the respective application. RTP packet : An RTP packet consists of a header with version and sequence number, data format, sender ID and time stamp, and the payload. Real-time Transport Protocol or RTP does not guarantee real transmission in real time, but provides appropriate mechanisms. This Article Has Been Shared 3623 Times! Cite this article as: Abhishek Ghosh, "Real-time Transport Protocol or RTP," in The Customize Windows, November 29, 2012, April 18, 2019, https://thecustomizewindows.com/2012/11/real-time-transport-protocol-or-rtp/.